We’re located in Louisville, KY, close to Middletown. We have close access from I-64 and Blankenbaker Parkway. Stephanie Green is the Patient Host at PFR. Stephanie is always smiling and passionate about creating a great overall patient experience. 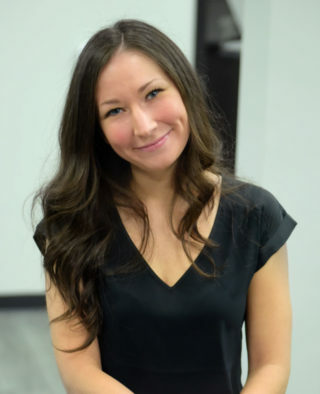 She enjoys building relationships and learning about individual’s personal journeys through life. She grew up in what was once the small town of South Lyon MI. She earned her BA at the University of Tennessee. In 2012 she gladly made Louisville her new home. Prior to joining the team at PFR she worked in patient access at Baptist Hospital LaGrange. Her main emphasis being ER registration and transcribing outpatient orders. Her favorite moments are typically spent with her five-year-old daughter. A few of their favorites include: playing board games, crafting, singing in the car, making root beer floats and having dance parties in the kitchen. Eric earned his Master of Science, Exercise Science from the University of Nebraska at Omaha where he is a native. 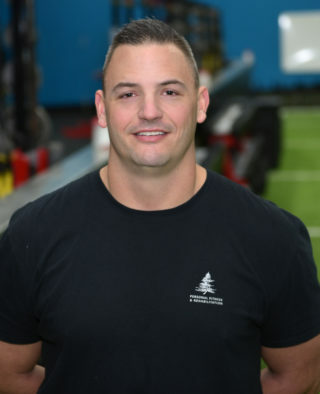 Eric spent 13 years as a collegiate sports and performance coach, at the University of Nebraska Omaha and the University of Louisville, and has spent more than three years in private sector sports performance/adult training/professional athletes. He loves to impact individuals and teams not only with their physical goals and aspirations, but also with their mentality and direct approach to their goals. Learn more about how to better your health & your life through functional medicine to Identify root causes of disease, pain and dysfunction, physical therapy to Restore proper movement patterns and functional training to Maintain your efforts. Here at PFR we offer one 1-on-1 consults with our wellness coach so you can gain better understanding on how to optimize the services we offer. Whatever your goals may be, our wellness coach is here to provide educational guidance on how you can improve your overall well-being.